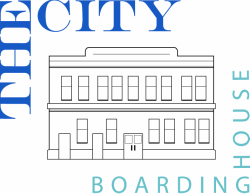 The City Boarding House is a rental property - this means that to live in the boarding house you are on a tenancy agreement (contract) like renting a house. We have to assess your suitability as a tenant. Below are the steps of that process. Click the red button above and complete the application form. We then receive the form and will make contact with you to discuss your needs and see if we have a suitable room, and give you the opportunity to have a tour of the Boarding house. If we require additional information for your application we will also request it at this time. We then do checks based on the information in the application form. Conformation of a successful application is usually within 24 hours. It is important that you complete all sections of the form to enable us to process your application quickly.